'The Flash': Is The Thinker Really Still The Thinker? The Thinker has proven himself to be a formidable foe this season on The Flash. Not only has the villain managed to stay several steps ahead of Team Flash, but he's managed to change his very appearance. However, as The Thinker gets closer to his endgame, the villain seems to be evolving personally, leading some fans to wonder if The Thinker is really still The Thinker. As we've seen, Clifford DeVoe has undergone several evolutions this season. When we first meet The Thinker, DeVoe (Neil Sandilands) is a wheelchair-bound college professor. It's revealed in flashback that DeVoe ended up in that wheelchair with his body degenerating around him because of his massive intelligence. On the night of the STAR Labs particle accelerator that gave Barry (Grant Gustin) his powers, DeVoe was given his incredible mental powers, but they require so much energy to maintain that his mind is literally eating his body alive. He's depicted as being diabolical of course, but as also being a devoted and caring husband, albeit one struggling with his own decline. DeVoe solves his declining body situation, though. He purchases a younger, healthy bus meta, Dominic Lanse (Kendrick Sampson) from Amunet Black (Katee Sackhoff) and then uses technology on his special hovering chair to transfer his consciousness into Lanse, effectively killing his old, declining body and taking over Lanse's healthy one, presumably killing Lanse in the process. While in this new body, The Thinker continues to move forward with his plans for what he calls "The Enlightenment," but as he does he seems colder, more calculating than previously. It's something that his wife Marlize/The Mechanic seems to notice as well as she is shown to be a little distant from New DeVoe. While Marlize's distance could also be explained by the trauma of watching her husband essentially die, we see further changes to The Thinker when he takes on his third body. This time, The Thinker takes over the form of Becky Sharpe/Hazard (Sugar Lynn Beard). While Hazard is a friendly and somewhat cheerful person (more so after becoming a meta than before when she had nothing but bad luck), this new, improved female Thinker is even more deeply sinister than the Lanse version or even the original. Hazard Thinker, noticing Marlize's distance, drugs her drink with tears from a bus meta known as The Weeper -- tears that we saw in an earlier episode that Amunet had been selling as a love drug. With the shifts in The Thinker's personality and behaviors coming every time he changes bodies, it certainly seems that more and more of the original Thinker is vanishing. If DeVoe is, in fact, disappearing with each meta he absorbs, this could become a very serious situation for Team Flash sooner rather than later. In "True Colors" DeVoe doesn’t just take Hazard's body, he also absorbs the powers of other bus metas who, unlike Hazard, appear to have no conscience and no qualms about harming people in the pursuit of their goals. And it isn't that these metas don't care about others that makes them dangerous -- they all have active grudges against The Flash, and now they know exactly who the Speedster really is. 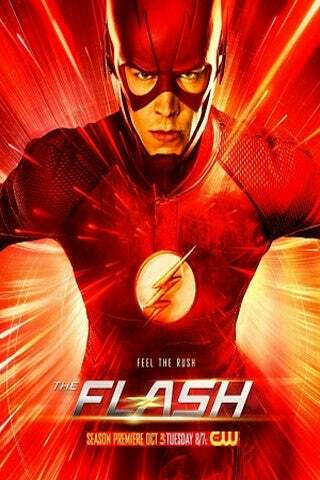 The Flash airs on Tuesdays at 8 p.m. ET/PT. New episodes resume on February 27th.